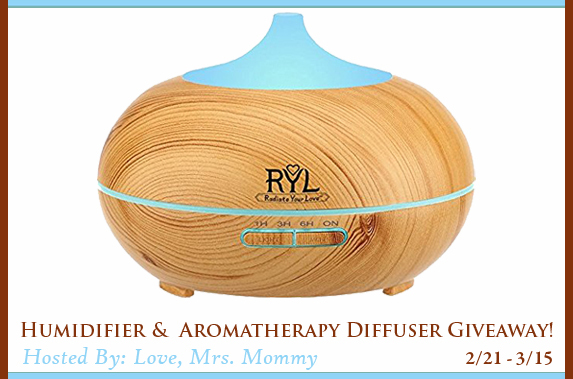 Home / Giveaways / Humidifier & Aromatherapy Diffuser Giveaway! Humidifier & Aromatherapy Diffuser Giveaway! Many families with babies and young children will be wanting to ensure they have the best possible home environment for health and happiness. Humidifiers are one of the items that can really help to make sure that the cold, dry air of the winter months doesn’t irritate little noses or sensitive skin. Whether you just need a small humidifier for that inevitable cold, or a more advanced device for winter-long running, you’ll find it here. With this in mind, TopTenUSA have picked the best humidifier for baby bundles that you can buy right now, carefully selecting them for functionality, quality, design, and in the interests of saving energy. We’ve also made sure that every one of the products we’ve chosen has been rated by the Energy Star program.